Learning about Business email platform? "IBM Verse - Fastest Mail Client"
IBM Verse in the cloud or on Premises is the fastest Mail Client I have ever used, and I tried many (Gmail, Outlook, etc.). It is extremely responsive and easy to use. Hands down it saves me a lot of time at work. I like how the "Search" is implemented and how the development team made it easy to use and user friendly. It packs a lot of features which other Mail Clients are lacking, so simple and yet extremely efficient. I dislike the fact that you cannot customize it at this point, Next Version will bring new branding capability, I guess we have to wait a bit more to get that sorted out. At this point you can not use ICS Files, this is also coming in the new Version. Try it out, it is easy to implement and maintain, do not miss this jewel. It is fast like Hell and it saves time. It helps me organize and be more Produktive throughout the day. "Helpful on the go with room for improvement"
Being able to manage my work emails while on the go and see my calendar in great detail. A great feature is that the app will combine a thread of emails into a group that you can easily navigate one after another. The inability to use same time chat with my colleagues and see the chat history. I would also like to see the profile images of my work contacts. What Email solution do you use? Ability to view other people's calendars. Smartcloud Notes Web mail view. IBM Verse mail view. The fact that Smartcloud Notes Web doesn't always work smoothly as it is not the recommended viewing portal for mail. I think that Outlook or Gmail is more agile, but Verse is sufficient for most business purposes. Having used Outlook and Gmail for business email purposes in the past, I must admit I prefer their software and find it more user-friendly on the whole. Verse takes a little while to get used to using it, as a platform it is quite different from others and navigating around it can feel rather clunky. However, I find that using the Smartcloud Notes Web helps to improve the overall experience for using the mail functionality. The software defaults to IBM Verse mail view, which I do not like so much. Calendar functionality is good because it enables you to view other people's calendars, but poor in that once somebody declines a meeting invitation, if they do not click on a very small 'keep me notified' button then they do not receive a notification when the meeting is rescheduled to a time that does work in their diaries. Only this week we discovered the sharing screen remote meeting functionality, which is a great tool. "Has a lot of potential "
The best thing is that, it is Cloud based. Now you can access your emails and calendar on the move from anywhere. There's a lot of work put in from IBM and it shows in the tool performance as well. It’s super fast in searching through emails. It’s inbuilt chat feature is another great addition to normal email client. It should be able to integrate with other email clients as well to export their email format. There should be options available to customize it like in other email clients. The interface needs little time to get familiar, not the most simplest design. Saves a lot of time. The inbuilt chat feature really makes a difference. It’s easily accessible from anywhere. "IBM Verse is too complicated"
The IBM Verse app is the most helpful part of this software. IBM has great tech masters on the development end for sure. Our employees use the app. IBM offers very helpful consultations about Verse as well. I really dislike the cluttered nature of this software. It claims to be not cluttered, but it is indeed. It is confusing for newer employees and they end up communicating less effectively than before. Use it. It starts out with a big learning curve but its worth the price. We organized everyone's communication on the same platform which was helpful but would be more helpful with a clearer platform. The benefits of this are large as it is easier to organize everyone. I like the brand name, reputability, stability. They know about computers before all of the changes yet have kept up and re branded themselves. If you are seeking a new way to email, aggregate email information overload, then IBM Verse would be very helpful. They are a very reliable brand and their service is spot on, going from building machines, to integrating software and now enhancing email services with Verse. Email communications are smoother and more realistic even if remote. "Great option for cloud "
"Cloud Email with all the features"
Provide users with full access to their email without having to set them up locally in client. IBM verse have helped me a lot with my email. In general, it has helped me a lot with files, uploads, updates, and sharing with a blog. I would recommend to everyone who doesnt have the time to be sending personal emails to a lot of people. IBM Verse does its job very well. It saves me a lot of time and it makes much easier to do my everyday job. I like that I can have a chat session through my email. I think the application could be a little more seamless and easy to use. It is a pretty sleek browser-based version to use LotusNotes. It is relatively easy to use and the complexity is nicely hidden. It still needs work on some basic functionality. For example, I found it difficult to share calendar entries. I also could not add an external calendar. It is relatively cheap, but missing features. General use of email and calendar. The benefits are self explanatory. "Good web client for email, calendar, contacts"
One of the best features of Verse is the layout of the UI - I find it easy to use, and makes very good use of space on the screen. Stay in contact with my team and clients through email, meetings and contact info. I have a calendar and meetings in one place. All applications are available from one place. Search works inaccurately. Often when writing an e-mail the text writing indicator is lost. The 'verse' messenger has no history. "Simple enough to use but not oustanding"
It is quite intuitive and easy to use with simple interface. it doesn't particularly stand out in the cloud email market. It lacks integration of gmail and the user friendliness of the microsoft suite. It was a little overwhelminghow manynoptions there were for an e-mail service. Maybe a better layout or intuitive options would help. Just with managing clients, and does the job well. It’s clear and works, just a little difficult to start. Being a web based product, without internet access it doesn’t push anything new. "IBM Verse - Great application for enterprise conversation." Accessibility from web and secure conversation. Tightly integrated with IBM hardware and can't be accessed from outside laptops. 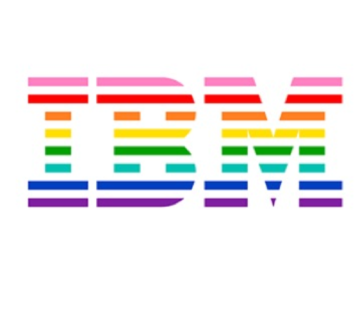 Conversation with IBM employees throughout the world. "Not a bad email. But could be a lot better"
Every day email is solved..
* We monitor all IBM Verse reviews to prevent fraudulent reviews and keep review quality high. We do not post reviews by company employees or direct competitors. Validated reviews require the user to submit a screenshot of the product containing their user ID, in order to verify a user is an actual user of the product. Hi there! Are you looking to implement a solution like Business email platform?